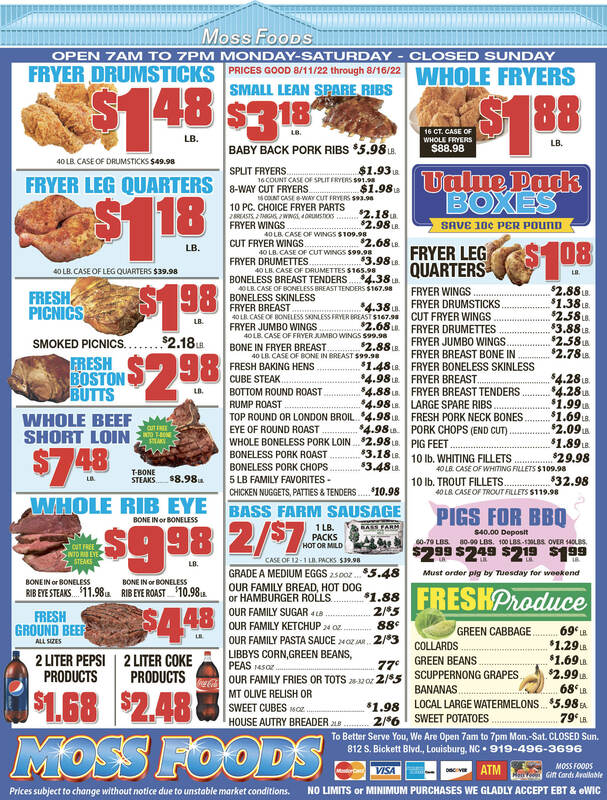 Showing 65 articles from May 22, 2013. YOUNGSVILLE — A Franklin County company is planning to continue its expansion, making the area home to its headquarters. SunStone Water Group set its foot in Franklin County in July when it began renting office space in the old Flextronics building in the Youngsville Commerce Center. LOUISBURG — After much debate, including a threat from a resident to take Franklin County to court, officials agreed to help a regional economic development organization pay back the federal government. They attached some strings, though. Earlier this month, officials and staff with the Kerr-Tar Regional Council of Governments informed its membership that it owed the Economic Development Administration $311,000. 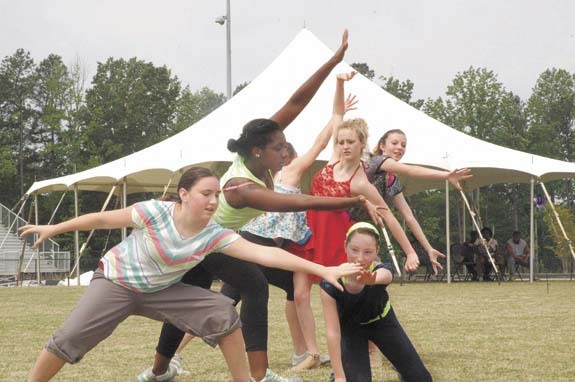 Rachel Macholl Academy of Dance members, from left, Karina Filter, Brittany Weatherall, Hannah Nichols, Taylor Walsh, Amy Nunnery and Lydia Biallis highlighted Day 2 of Franklin County Relay for Life event at Franklinton High School. Just like the majority of other Kerr Tar Regional Council of Government members, the Louisburg town council decided this week to pony up the additional $4,669 special assessment the COG is requesting. The COG, which is a regional organization representing local governments from Franklin, Vance, Warren and Granville counties, is in hot water with the federal government over improper expenditures of grant money. Franklin County sheriff’s deputies arrested a Warrenton man on attempted murder charges. Dennis Jordan Collier, 17, was charged last week with attempted first degree murder. He was placed in jail in lieu of a $500,000 bond and had his first appearance in court on May 21. 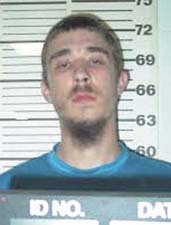 He is next slated to appear in court on May 28. From Youngsville to Bunn, members of a regional development entity appear ready to pay their share. The Kerr-Tar Regional Council of Governments has asked its 21 members to pay a special assessment totalling $311,000 — an amount it owes the Economic Development Administration for dipping into a pot of money set aside for business loans. Standing post at Arlington: Are they forgotten? Taps bled into the setting gray haze as the Duty Noncommissioned Officer called out, guard mount! guard mount! Settle down, the NCO commanded; get on line: Aliganga; yo, Arthur; here sir, Fitzgibbon ….. Fitzgibbon; anyone seen Fitzgibbon. Yes sir, Arthur answered, his son arrived today. Where is the super numeracy? Here sir, Eckfield, replied. The Guard Officer read the Special Orders reminding everyone tomorrow is Memorial Day. It was a victory for your right to know what your government is doing. Unfortunately, it wasn’t the rousing, resounding vote that many of us who believe that right is one of the most important ones that Americans have — but it was a victory and we’ll take them as they come, especially in this environment. The issue involved three bills that were winding their way through the North Carolina General Assembly which would have restricted your right to know — and made it very difficult for you to find out what is going on. After months of hearing the leadership of the North Carolina Senate gripe and complain about state spending — and listening to their promises to cut spending across the board, the results are somewhat of a yawner. 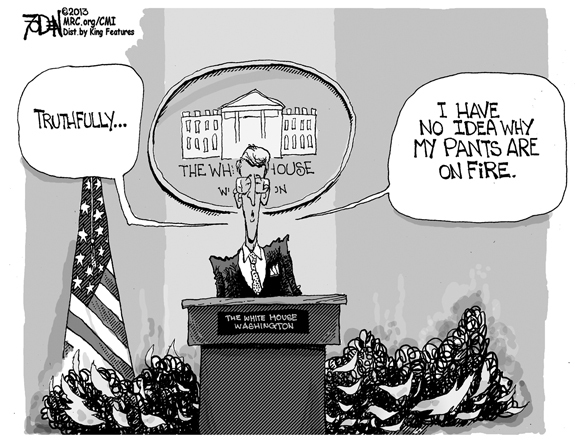 For the past week, it was very hard for me not to compare the U.S. Government to the mob. Then, I thought, our federal government is more efficient. 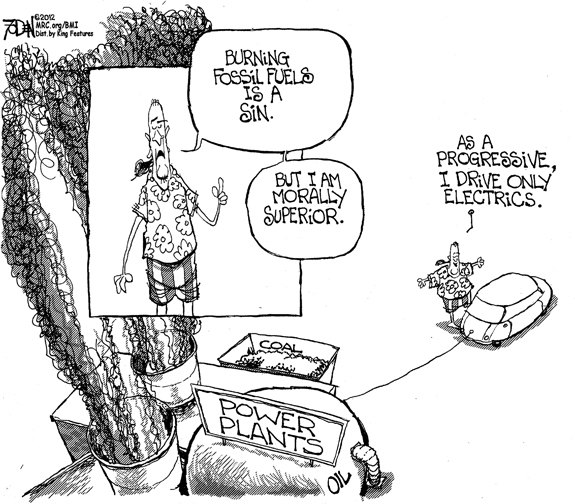 And can be more ruthless. 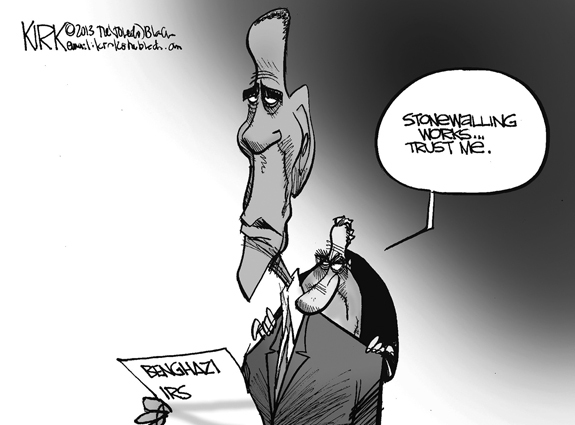 If you don’t believe me, ask those Tea Party-tinged groups that were the targets of “extra” scrutiny by the IRS. My husband and I, along with Harry Pearce and wife, made a recent “Memory Lane” trip to Louisburg. Our mothers grew up at 108 Sunset Avenue. My mother, Hazel Johnson Tucker, and father, John A. (“Zula”) Tucker, attended Louisburg College. They moved to Virginia Beach in 1942 with the war effort in the area. The Party System of government in part is designed to be the citizen’s voice on differing philosophical views and events of the day; representative government elected by the people. This synergy is for the people to not only be heard, but listened to. YOUNGSVILLE —Alton F. “Buddy” Mitchell, 77, died Sunday, May 19, 2013 at his residence. 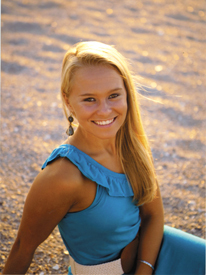 Funeral service will be held at 2 p.m. Friday, May 24, in the chapel of Bright Funeral Home, officiated by the Rev. Michael Edwards. Burial will follow in Fairview Cemetery in Franklinton. ZEBULON - Barbara Jean Perry Finch died Friday, May 17, 2013 at Wake Med Hospital in Raleigh. Funeral services were held at Hopkins Chapel Baptist Church, Zebulon, on Tuesday, May 21, with the Rev. Glen Brock, the Rev. Earl Roach and the Rev. Keith Wagner officiating. 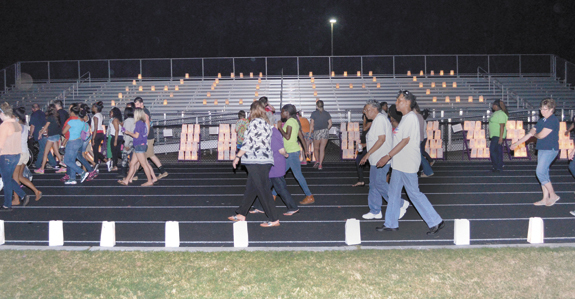 Burial followed at the Zebulon Town Cemetery. LOUISBURG - Cleora Massenburg, 83, died Tuesday, May 14, 2013. Funeral services were held Saturday, May 18, at Haywood Baptist Church, Louisburg. Interment followed in the church cemetery. NASHVILLE - Funeral services for Doretha T. Hunter, 90, who died Wednesday, May 15, 2013, were held Monday, May 20, at Union Hill Baptist Church, with Apostle Ethan Arrington officiating. Burial followed in Stonney Creek Cemetery. LOUISBURG - Marie Greenly “Ree” Smyser, 57, died Sunday, May 19, 2013 at Franklin Regional Medical Center. Funeral service was held Wednesday, May 22, in the chapel of Bright Funeral Home. WILLIAM F. “BILLY” TANT SR.
ZEBULON - William “Billy” Frazier Tant Sr., 76, died Monday, May 20, 2013. Visitation will be from 2-3 p.m. Thursday, May 23, at Wendell Baptist Church, with the service to follow at 3 p.m. Burial will be at Gethsemane Memorial Gardens. 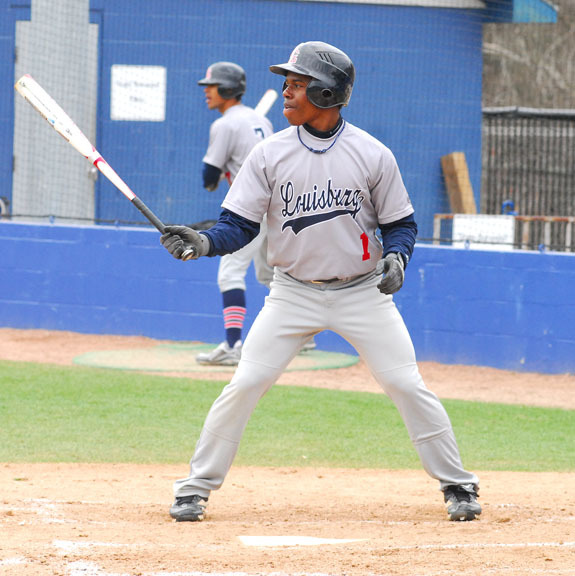 LOUISBURG -- Three Louisburg College standouts have earned accolades on the 2013 All-Region X Baseball Team. Each of the Hurricanes is on the First Team -- freshman outfielder Cedric Mullins, sophomore infielder/outfielder Bradley Morton and pitcher John McGillicuddy. Mullins, a left-handed batter with speed, hit at a lofty .376 clip while pacing LC in at-bats (165), hits (62) and stolen bases (28). NOW IS THE TIME. Bunn’s Tarik Cohen (center) takes a handoff from teammate David McPhail and is on his way to the finish line in the final leg of the Boys 400 Relay. 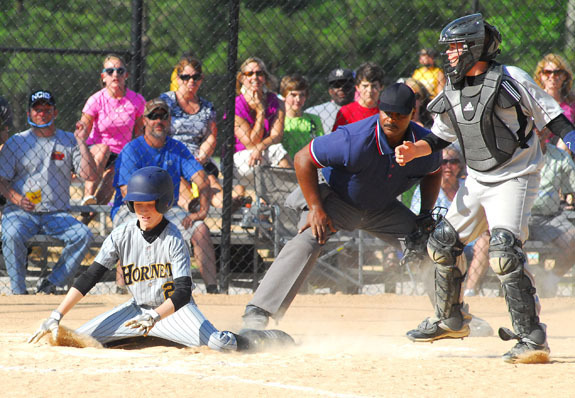 Cohen rallied the Wildcats to a state crown. 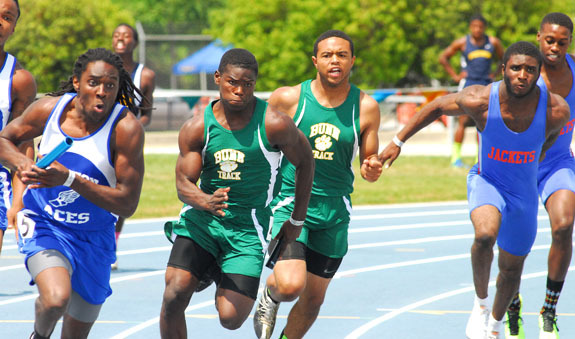 GREENSBORO - Only 100 meters stood between Bunn’s Tarik Cohen and the end of his electrifying high school career. He was determined to cherish every second of that historic final ride. After taking the baton from teammate David McPhail for the final leg of the 400 Relay at the Class 2-A State Track and Field Championships, Cohen found himself trailing two other competitors. FREESE IN THE FRAME. 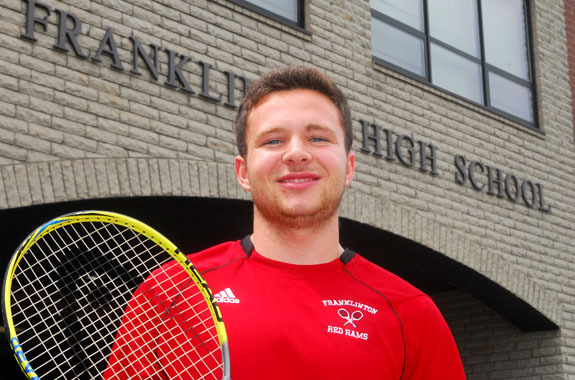 Garrett Freese has enjoyed a strong career as a tennis player at Franklinton High School. FRANKLINTON -- From when he could barely walk until today, tennis has played an integral role in Garrett Freese’s life. And it will for the next four years -- and probably long after that. A self-proclaimed court junkie, Franklinton’s Freese has signed a letter-of-intent to continue his tennis career at Ferrum University, a Division III school located 35 miles south of Roanoke in Southwest Virginia. Whitney Bunn will represent Bunn High School one finale time at the North Carolina Coaches Association East-West Girls Basketball All-Star Game. The prestigious event will be held July 22 at the Greensboro Coliseum. 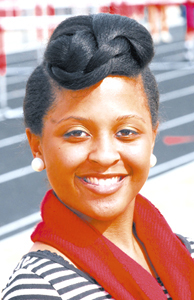 The last Bunn girls performer to be selected for the game was Nakisha Stewart in 2005. THIS WON’T HURT A BIT. 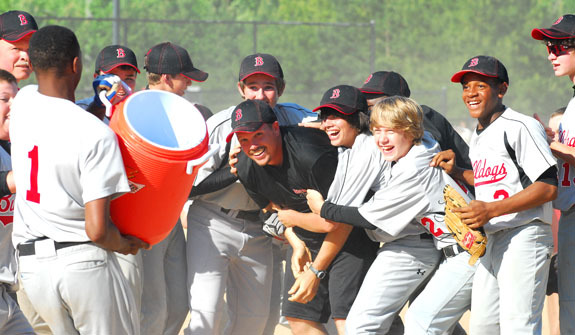 Bunn Middle School baseball coach Robert Pendleton (center) is about to receive a Gatorade bath after the Bulldogs won the Middle Athletic Conference Tournament Championship last Wednesday with a victory over Hawley. FRANKLINTON -- These days, Robert Dale Pendleton is getting used to a soggy ending to the baseball season. That’s because Pendleton, the head coach at Bunn Middle School, has seen his Bulldogs win the Middle Athletic Conference Tournament Championship the past two seasons. After the final out both times, Pendleton accepted the obligatory Gatorade cooler bath, much to the glee of his players. RALEIGH -- Four North Carolina High School Athletic Association women’s state soccer championships will be decided Saturday in the 28th annual NCHSAA finals set for Dail Soccer Field at North Carolina State University. All four finals will be played on Saturday. Tickets are $8, which is good for the entire day. All four of the games will be televised by Time Warner Cable on TWC special events channel 520 and the stream is available on line at www.news14.com. MYRTLE BEACH, S.C. -- Edwin Garcia bounced an infield single inches past the glove of J.D. Reichenbach to plate the winning run as the Myrtle Beach Pelicans escaped the Carolina Mudcats 3-2 in 11 innings on Tuesday night at TicketReturn.com Field in a Class A Carolina League baseball showdown. Carolina (15-29) dropped its 13th game decided by one run, and fell to 1-3 in extra-inning games. BUNN -- As he directed an unfamiliar vehicle through a never-ending myriad of cars, Ty Howle thought about those lazy drives across N.C. 98 when he was heading to and from Bunn High School. 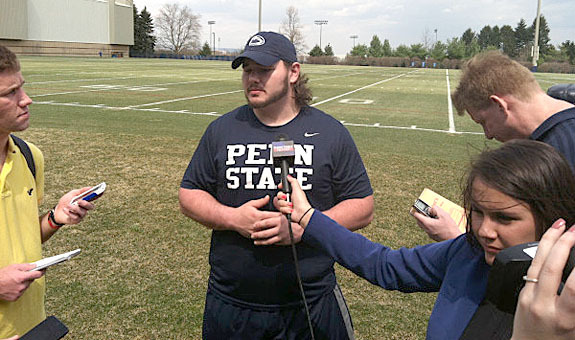 Now at Penn State University, Howle had joined a lineman buddy for a few days in his friend’s hometown of Philadelphia. LOUISBURG -- An alumni game featuring former basketball stars from Louisburg and Bunn will be held June 15 at 2 p.m. at the Louisburg High School Gymnasium. Proceeds will benefit the local Boys and Girls Club. The event will feature special guests, raffles and vendors. TAINASHA ON TOP OF THE PODIUM. 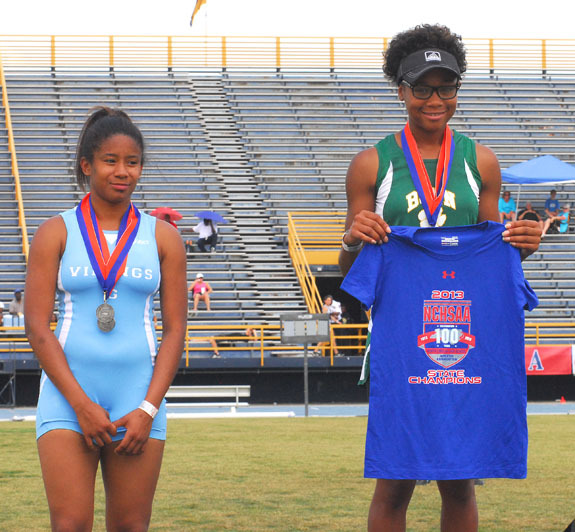 Bunn’s Tainasha Vines accepts her medal and T-shirt after winning the Girls Triple Jump crown at last Friday’s Class 2-A State Track and Field Championships. COUNTY HIGH JUMP HEROICS. 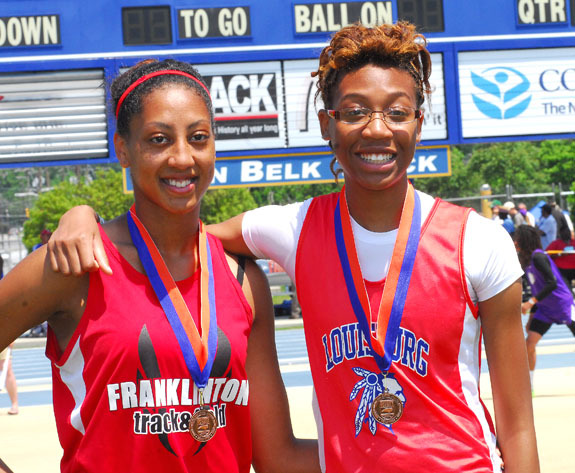 (L to R) Long-time friends and competitors Charity Snelling (Franklinton) and Vanisha Wilshire (Louisburg) both earned medals in the Girls High Jump event during last Friday’s Class 2-A State Track and Field Championships in Greensboro. ROCKY MOUNT -- It takes a special athlete to recover from a torn anterior cruciate knee ligament injury -- let alone two. Such is the character of Nash Central’s Timyra Staton, who has undergone ACL surgery on both of her knees -- but still remained hungry to participate on the basketball court. 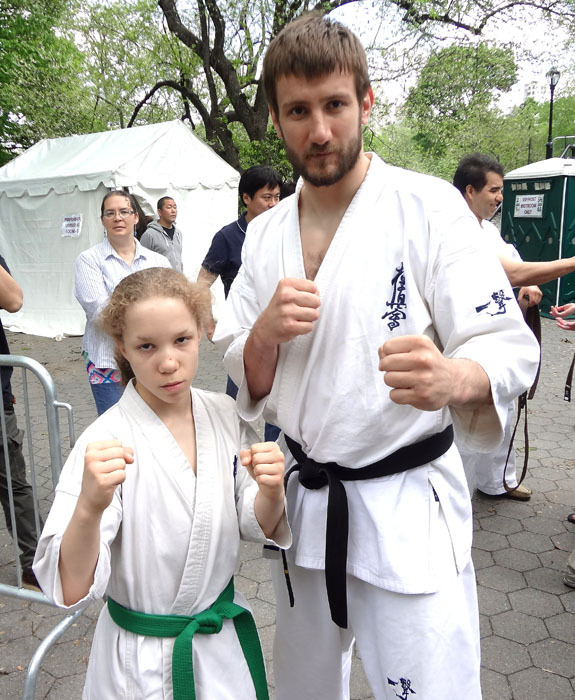 NEW YORK, N.Y. -- Christian Buffaloe, a 13-year old local Kyokushin Karate competitor, recently participated in the annual “Japan Day Festival” at Central Park in New York City. Christian did several Kyokushin Karate demonstrations along with Japanese and European members of the Kyokushin New York Dojo. 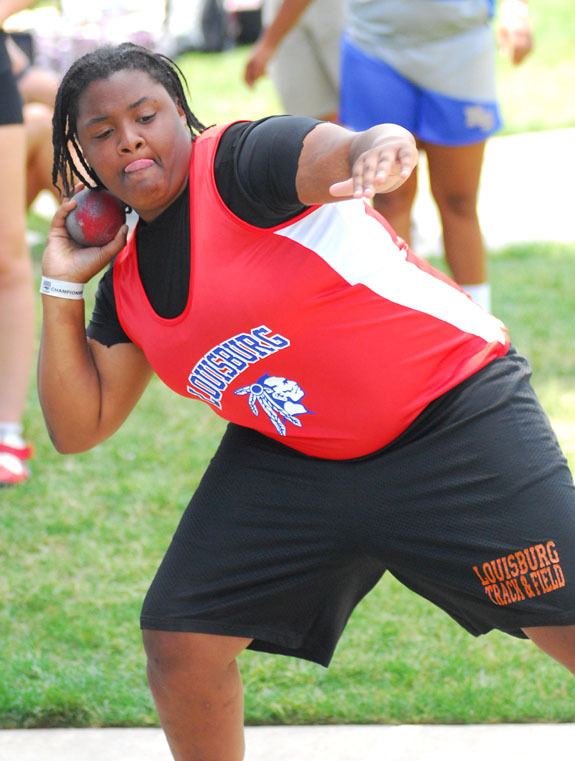 Louisburg’s Breasia Williams competed in the Girls Shot Put at the Class 2-A State Track and Field Championships. 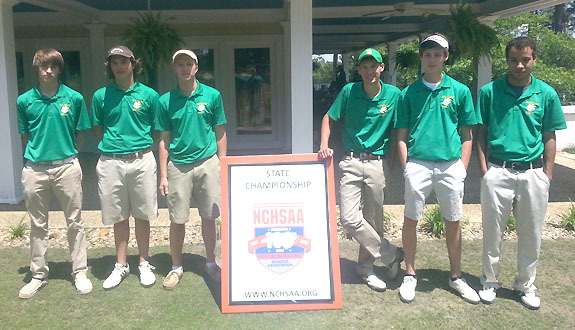 Members of the Bunn High School golf team pose in front of the clubhouse at Longleaf GC in Southern Pines as the Wildcats participated last week in the Class 2-A State Golf Championships. Bunn finished 11th in the stae overall as a team to cap a solid campaign. 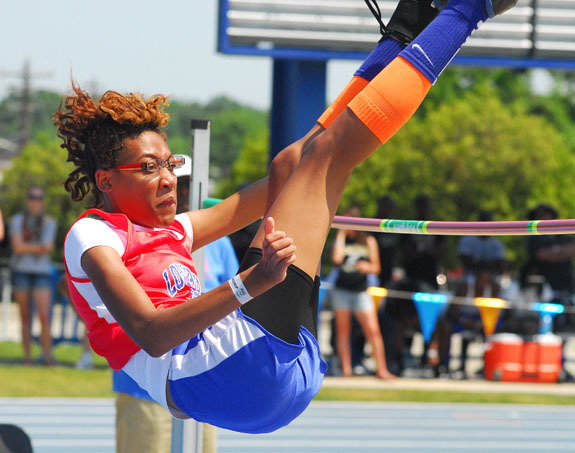 Louisburg’s Vanisha Wilshre clears this height en route to a third-place finish in the Girls High Jump event at the Class 2-A State Track and Field Championships last Friday. 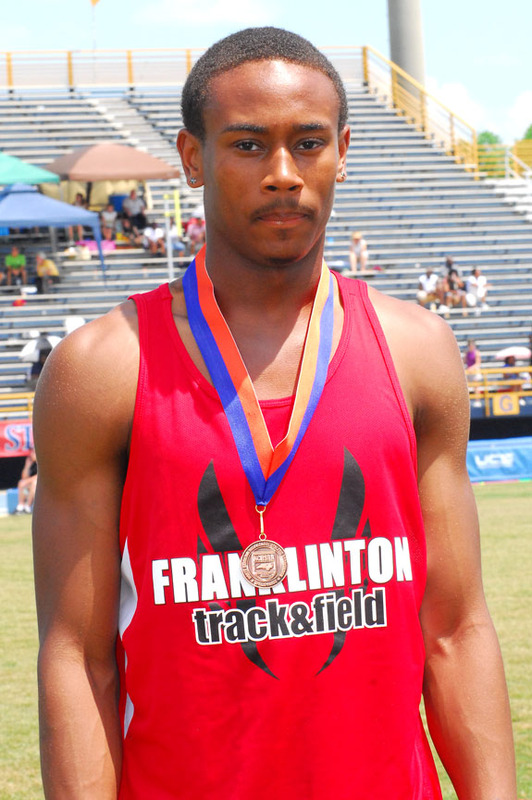 Franklinton’s Rondez Taylor displays his medal from the Boys High Jump event at the Class 2-A State Track and Field Championships last Friday. 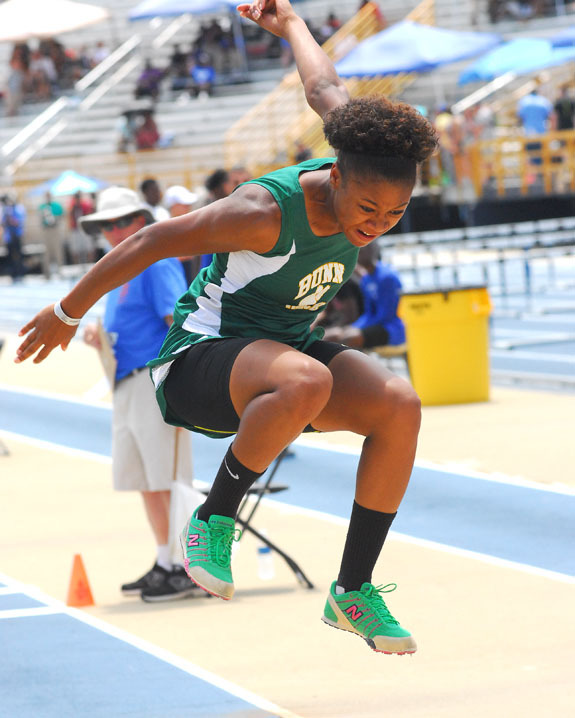 Bunn’s Tanaisha Vines was the winner in the Girls Triple Jump competition at the Class 2-A State Track and Field Championships in Greensboro. Hawley’s Tucker Brown (left), who played rec baseball in Franklin County as a youngster, slides safely into home plate during last Wednesday’s MAC Baseball Championship in Franklinton. ENGAGED. Wayne and Elaine Bunn of Pilot announce the engagement of their daughter, Jessica Nichole Bunn, to Reed Myles Schafer, the son of Judy Daniels and Ric Schafer of South Bend, Ind. 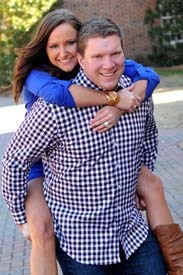 A fall, country wedding will be held Nov. 2, 2013 at the home of Wayne and Elaine Bunn in Pilot. Franklin County 4-H is gearing up for yet another fun filled summer with Sizzling Summer Sessions. We have been busy year round with school enrichment programs such as embryology and we have hatched lots of little chicks. We have also used the curriculum “Worms Eat Our Garbage” and have raised worms in compost bins and then used them to fertilize school gardens. Haley Allison Wester, daughter of Martha Allison Martin of Swansboro and Anthony Brent Wester of Louisburg, has been invited to attend the 87th Terpsichorean Debutante Ball in Raleigh on Sept. 6. Ms. Wester’s mother was invited to the ball in 1984 and her grandmother, Martha Ford Miller of Louisburg, attended the ball in 1961. The North Carolina Senate recently had Dillan Michael Phillips, a student at Louisburg High School, serve as a page. He is the son of Stephen M. Phillips of Louisburg. Dillan was sponsored by Sen. Chad Barefoot and appointed by the Senate President Pro Tempore, Phil Berger of Rockingham County. Plans to open the new Franklinton Middle School took a step forward last week when the school board learned that the boundaries it proposed to the U.S. Justice Department have been approved and await only the signature of a federal judge to be effective. When that happens, the way will be clear to open the new school in the former Franklinton High School building and about 320 students are expected. 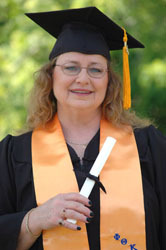 Melissa Collette Hodges of Louisburg, daughter of Dan and Martha Collette of Louisburg, graduated with an Associate in Applied Science degree in Information Systems Security at Vance-Granville Community College’s 44th annual commencement ceremony on May 10. The 1957 class of Mills High School had their 56th reunion on May 7 at Maple Springs Baptist Church. The classmates gathered at 2 p.m. to reminisce, look at old school pictures and welcome their guests. Eddie Stallings, mascot of their class, and Howard Stallings, principal, and their wives attended. Bobbie Currie, glee club director, and her daughter attended for the first time. 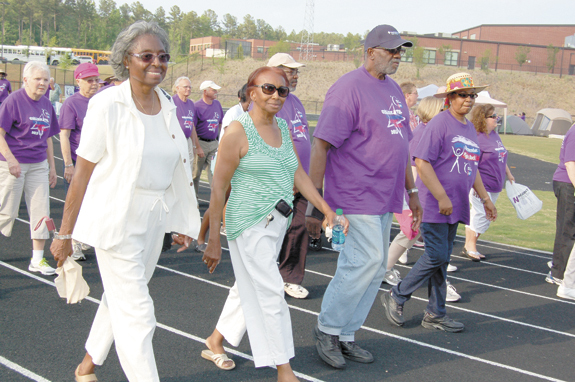 At 5 p.m., dinner was served followed by a program led by co-chairmen Clint Chaney, Wilbur and Shirley Southall. A number of personnel changes were approved by the Franklin County Board of Education this week. 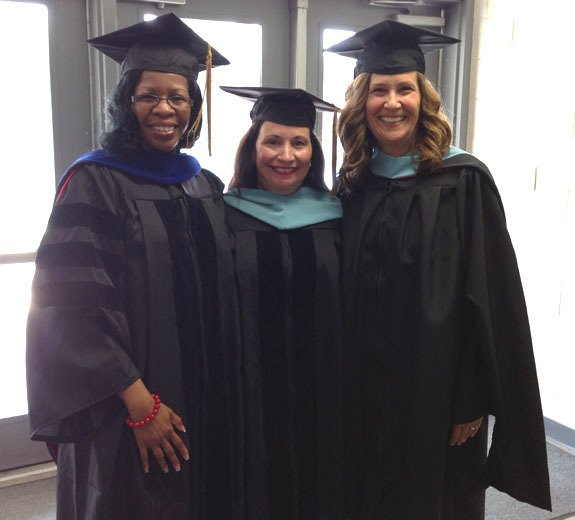 These three Franklin County Schools’ employees received advanced degrees from North Carolina State University on Saturday, May 11. Shown (left to right) are Youngsville Elementary School Assistant Principal Dr. Monica Headen, FCS Beginning Teacher Mentor Coordinator/Title II Coordinator Dr. Judy Stover, and Long Mill Elementary Administrative Intern Lisa Pennington. Louisburg police arrested a man accused of stabbing someone in a road rage incident. According to a report, police allege Eric Darnell Duncan was driving at Johnson and S. Main streets when he ran into the back of a car driven by Javaria Powell during the early morning hours of May 18. Police allege Duncan, 37, got out of his car and cut Powell on the arm with a knife. Louisburg police are looking for suspects who passed phony money. Karen Delany at Walmart reported the morning of May 12 that store employees realized that four counterfeit $20 bills had been used. LOUISBURG — Emergency radio operators switched fire and rescue personnel over to its new radio system this week. Staff and engineers told commissioners on Monday night that they hope to have the system fully de-bugged shortly, as well. The newly installed, nearly $11 million system has been plagued by dropped calls, garbled audio and other issues since law enforcement was switched over in October. FRANKLINTON — Youngsville and Franklinton have joined forces, literally. During Franklinton’s commission meeting on May 21, Police Chief John Green told the board about a joint law enforcement effort that he and Youngsville Police Chief Daren Kirts has undertaken. The two agencies have agreed to help attack crime in each other’s jurisdiction. 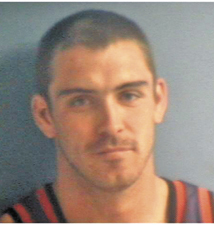 A Bailey man faces charges of stealing more than $100,000 worth of copper from Progress Energy fixtures in Nash County. According to the Nash County Sheriff’s Office, Douglas Charles Wood, Jr, 35, faces seven felony larceny charges, along with one count of first degree trespass and one misdemeanor larceny charge. A man picked up on breaking and entering charges is also facing charges of animal cruelty. Deputies arrested Anthony Ray Davis Jr. on March 12, charging him with breaking and entering and larceny. In an attempt to locate more evidence of the crime, detectives allege they found a video footage of dog fighting on Davis’ phone. Youngsville resident Carroll Joyner has a home on Fleming Road that he’s invested in. A story in last week’s edition of The Franklin Times incorrectly attributed a quote to Joyner about a property investment on Bert Winston Road. Youngsville tax collector sworn in; is she the last? YOUNGSVILLE — Town officials swore in Emily Hurd as the town’s tax collector earlier this month. Depending on some number crunching, it might be the last time that any town employee takes such an oath. 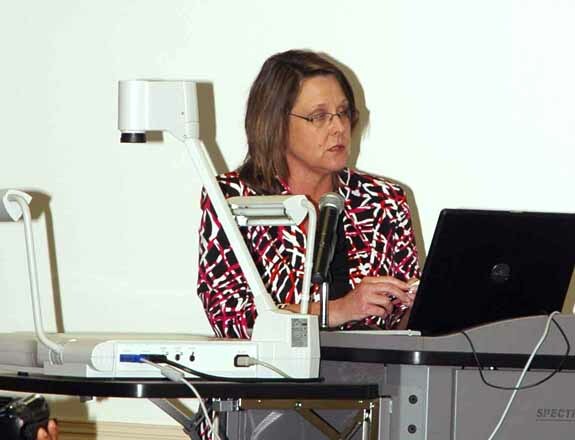 Hurd has served as the town’s tax collector for years but in May 2010, the board officially gave her the title — satisfying a compliance issue with the Local Government Commission. Electrical power to Louisburg and the immediate area around the town was off for about 50 minutes early Wednesday. The outage allowed crews from Progress Energy to make repairs to a major transmission line. Originally, the utility company said electricity could be off for as much as an hour and a half but repairs, which began at midnight, were completed in 50 minutes and power was restored. Eddie Ingram, superintendent of Franklin County Schools, is among four finalists for the position of Superintendent for Darlington County Schools in Darlington, South Carolina. “It is because of the outstanding performance of the Franklin County School District that I am being considered for this position,” Ingram said. 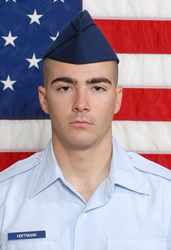 Air Force Airman Robert C. Hoffmann graduated from basic military training at Joint Base San Antonio-Lackland, San Antonio, Texas.